If your business already has a website, website maintenance takes on a new importance. Maintaining your website will help you improve your search engine rankings and ensure that your website content is up-to-date. It’s easy to forget how fast information can become dated, so it’s important to set up a website maintenance schedule. 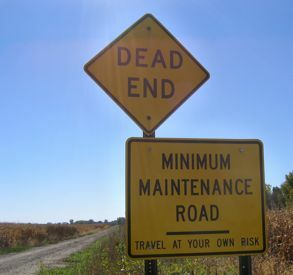 Establish a schedule for maintenance. I’m not talking about technical maintenance here – loading patches and updates, installing new functions, clearing logs, etc. While it’s important to do those maintenance tasks regularly, it’s also important to maintain the content on your website. Schedule time on the calendar to review your website content regularly. If your website is very active, you may want to review the major content sections weekly. If changes don’t occur that fast on your website, you can schedule this kind of website maintenance once per month. Whenever you add new content, it’s a good idea to review the changes shortly after they’ve been applied to the live site. This will help catch mistakes that might have occurred during “live editing” or when the content was transferred from development to the production website. Review your keywords. Use Google Analytics or another metrics program to monitor the effectiveness of your keywords, and your overall site. If your keywords become dated or fall out of favor with searchers, update them. This kind of website maintenance will help you stay on top of the search terms that are relevant to your visitors. Over time, validating and maintaining your keywords will help you to improve your website’s search engine rank, and will help you take advantage of changes in search terms as they naturally occur. Check your other page tags. Pay close attention to your page title tags and your meta descriptions. These HTML tags help the search engines determine the relevance of your page to the search terms that users have entered. As part of your regular website maintenance, review your page titles and meta descriptions. Update them as needed to help maintain and improve your search engine rankings. Review your website images. If your website makes heavy use of images, make sure they’re up-to-date. Add new images when you add new products or services. Be sure each image is tagged and described properly, so the search engines will know what the new images contain. People often overlook images when doing website maintenance, but images – sometimes moreso than page actual text – can have significant impact on how the search engine ranks your site in terms of relevance. If you would like more information about website maintenance, website design or search engine optimization for your website, please contact our Creative Director, Dave Ramsell or give Dave a call at (330) 243-0651 to set up a consultation.